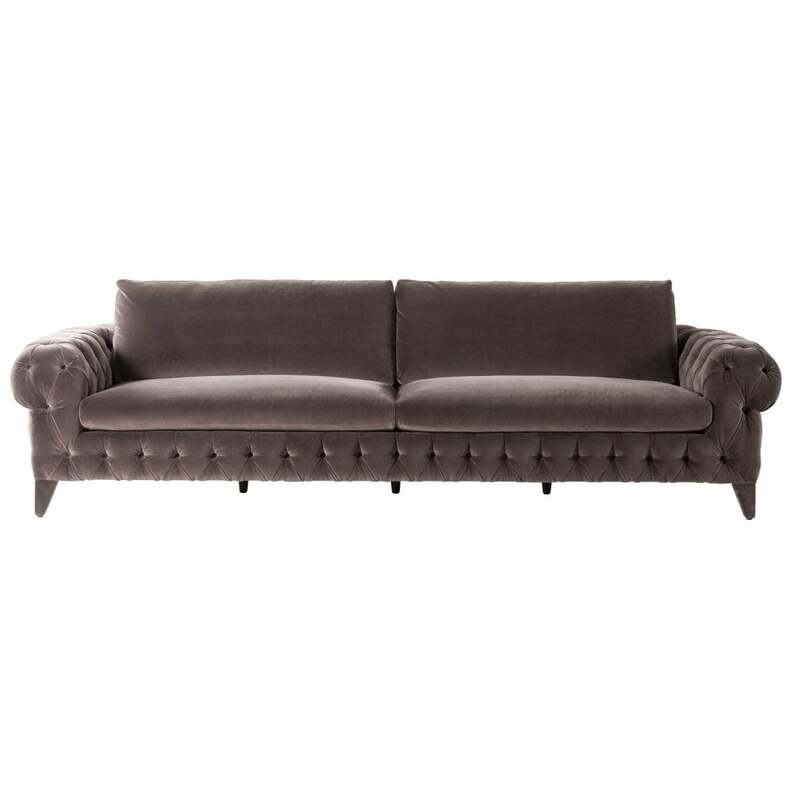 The Chrysler sofa has serious wow factor both in size and design, plus extreme comfort, the essential criteria when selecting the perfect centre piece for your lounge area. It's a piece of furniture that screams luxury and classic, sophistication, absolutely taking centre stage within any space. With a choice of leather or plain-coloured fabrics, you can customise this stunning centre piece completely to suit your styling. With attention to detail and quality craftsmanship, the weight bearing sections are made from both multiply and solid wood. The base of the upholstery uses high quality polyether foam and the cushion upholstery is high quality polyether foam on webbing. The beautiful seat cushions have a core of high-quality polyether foam with sectioned down, creating a super soft yet supportive seat, one which you may not want to leave in a hurry. The underside of each cushion is covered with cotton fabric to allow for better air circulation, the back cushions are sectioned off and filled exclusively with down, completely enhancing that comfort experience, whilst maintaining their shape and affective support. Overall an absolute classic, quality design and your ultimate lounging experience.